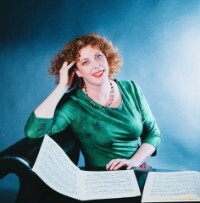 In 2002, I graduated as a pianist and piano teacher at the Conservatory of Amsterdam. In 2004, I also graduated as a primary school teacher too. For seven years I taught both at primary and music schools. Through this experience I obtained specific educational and didactical skills to tailor my piano lessons to each student's specific goals and capabilities. In 2009 I founded my own piano school "PianolesAlmere". As a member of the European Piano Teacher's Association (EPTA), my students can, as their skills progress, take part in the EPTA "piano grade exams"; ranging from grade A1 tot grade F.
These exams are also available in English.